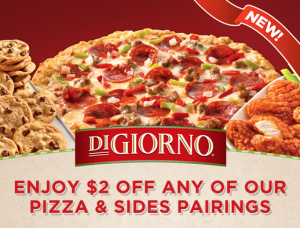 There is a new DiGiorno Coupon available. This time it’s a $2 off DiGiorno Pizza & Sides. Today’s Daily Deals – AMC Theatres, Blockbuster, Simply Re-Gift It & More!